Yay for Fall boxes getting here, and one that didn't smell like Pumpkin Spice. I admit, I'm a bad southern girl, I hate all things pumpkin. I was really expecting this to be all PSL, thankfully it was something amazing instead! Anyone notice anything off the bat? The polishes are smaller. I've seen a lot of people post about being angry or upset because of the bottle size. I'm sad that they made the bottles smaller but didn't lower the price. Hopefully we'll be back to bigger bottles in October. Just Sugar Coat It! - Inspired by the ever adorable & colorful sugar swizzle sticks, Just Sugar Coat It! 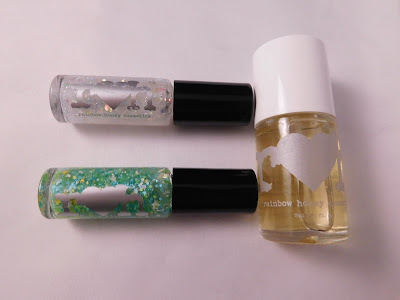 adds a shiny sweet glaze with depth adding iridescent glitters and shimmer to any manicure! Part of an upcoming Sugar Glaze collection featuring all swizzle stick colors! (February 2016). This is a magical polish that's full of amazing sparkle and glitter. It's definitely sugar-y sweet. I'm definitely a huge fan of how it looks in the sun and I'm looking forward to it being added on a dark polish! 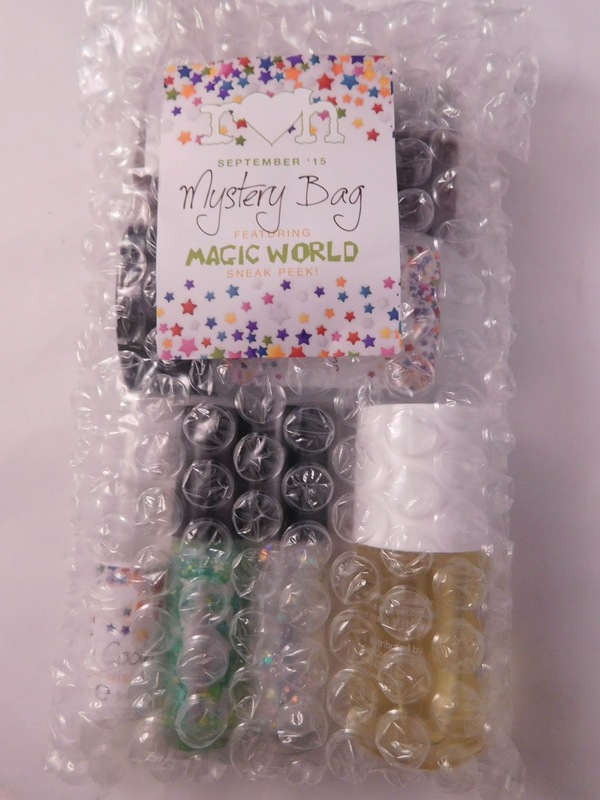 Underwater World - From a far away place called Magic World, come Underwater World, a magical glitter topper packed with bright stars and white dust shimmer...did you find the magic keyhole? Everything looks different underwater! I must have missed the keyhole, because I didn't find anything special about it. I even put my swatch in water and nothing changed. On my mini swatch, I didn't have the green base that is in the bottle, but it's still super sparkley with a ton of glitter pieces. It's not necessarily my favorite polish, but it's nice for something different. 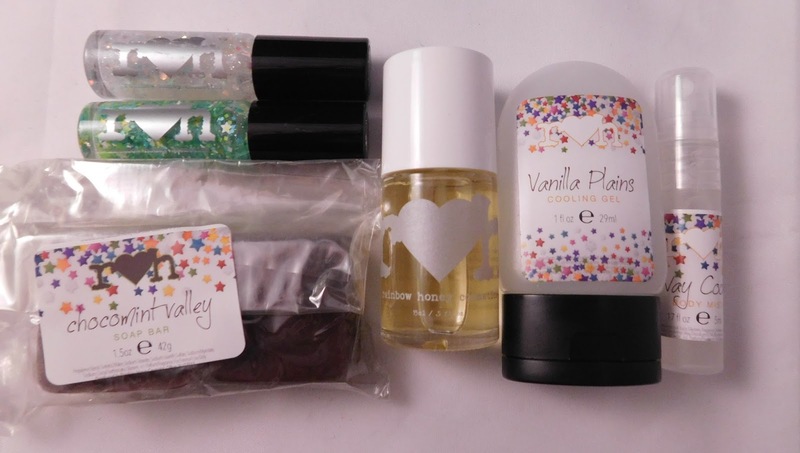 Truffle Cappuccino Cuticle Oil - Fall Treats Sneak Peek Alert! Belgian truffles, espresso blended with steamed milk, and a touch of spicy cinnamon makes our Truffle Cappuccino Scented Cuticle Oil, a cozy coffee house aroma! Part of this year's Fall Treats featuring Coffee Blends. This smells amazing, but it's really tiring to get products rather than polishes. Especially two months in a row and when the polishes are even smaller than before. Still, I love cuticle oil and can always use more of it. It's also so good smelling that it makes me want a great cup of coffee every time I open the bottle. Chocomint Valley Soap Bar - Chocolate mint lovers...Cleanse and moisturize your skin while delighting your senses with our newest Soap Bar from our upcoming collection, Magic World! Meat Chocomint, a true blend of dark chocolates, mint, and cocoa! OMG this smells sooooooo good. This is what I smelled when I opened the bag, and it's what pleasantly surprised me. I love chocolate anything and really love chocolate mint, so this was perfect. It smells so good that it's worth it just to put in your bathroom and let everything smell so great. Vanilla Plains Cooling Gel - Our moisturizing aloe vera gel formula leaves behind cool, soft skin and scented with a sneak peek from our upcoming Magic World collection, Vanilla Plains! 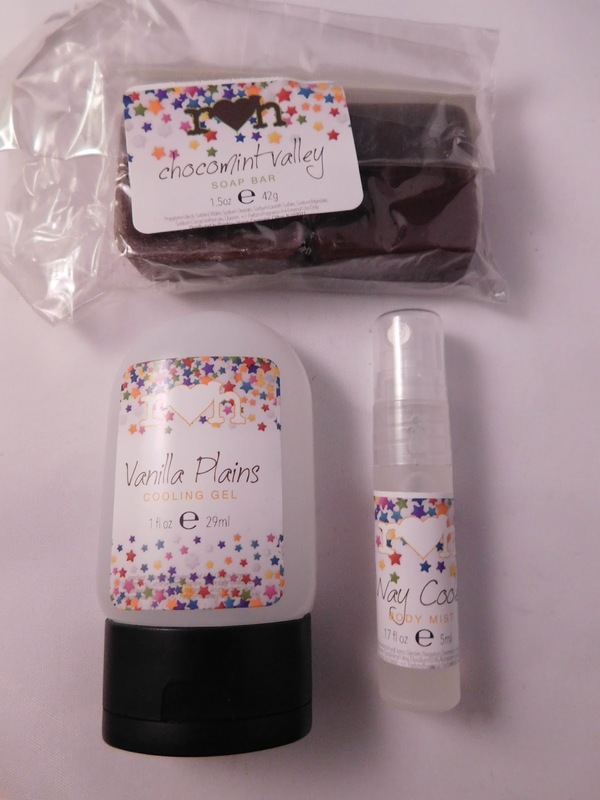 Vanilla Plains is an epic vanilla cake aroma and is one of the secret ingredients to magic world! Second only to my love of chocolate is my love of vanilla. This isn't the typical vanilla scent, it smells a bit spicy to me as well as sweet. It's cooling and relieving, and will be perfect for the summer. Way Cooler Body Mist - Enjoy our light and airy body mist formula with Way Cooler! A refreshing blend of pears, quince, and acai berries for that much needed pick me up! Way Cooler is part of our upcoming Magic World collection! Our moisturizing body mist is formulated to refresh your skin and hair and is alcohol and paraben free! This is just like pears and acai. It makes me happy and I love that I can spray it on my hair to make it smell amazing. I love that this Magic World collection is all over the place, and I can't wait to see what all is going to be included in it. Overall, I still loved this month's bag from Rainbow Honey. I'm really looking forward to this new collection but I'm concerned about the size of the polishes. Hopefully this won't continue and maybe the polishes will go back to size, as well as have three polishes again! As always, let me know what you thought about this bag in the comments!